The other morning, leaving my home, I met Virginia and Carmela, my two very smart neighbors, which smiled at me and started to talk to me. Virginia said: “Mr. Enzo I saw you on tv celebrating the Neapolitan pizza”. Therefore, I explained that we were not celebrating the pizza but the art of the Neapolitan “pizzaiuolo” which is now part of the UNESCO List of the Intangible Cultural Heritage of Humanity. “What’s Unesco?” – Carmela asked me. That morning, I was in a rush, however I tried to explain that Unesco is an organization created during the second postwar period by the United Nations to promote collaboration through Education, Science and Culture among its 195 Member States. 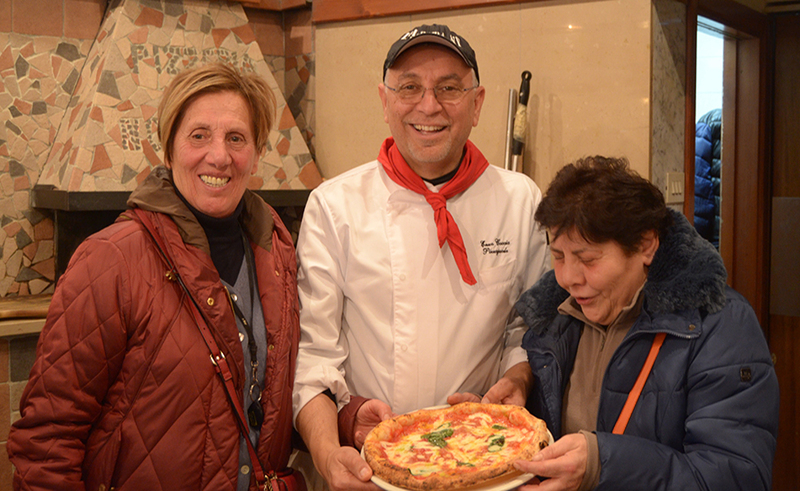 Virginia and Carmela continued to insist with a lot of questions: “But if you are a pizzaiolo, how it is possible that this is something intangible?”. So, I explained that it was recognized the traditional concept of this profession handed down for two centuries, the way to “alluccare” (shout), the pizzaiuoli’s jargon, the songs about the Neapolitan pizza. Carmela answered irritated “But I already knew these things! I was born in Loreto suburb”. I answered back that the Americans have always claimed that the pizza was their invention and with this recognition, in addition to the origin of the city of Naples, there was the consecration of an art: the art of the Neapolitan pizzaiuoli. “Mr Enzo”- Virginia said – “when we come to La Notizia to have a pizza, will we pay more for it?” Reassuring them of it, I said :”No, it is just a moral satisfaction for us, the pizzaiuoli”. I see them perplexed: I hope that the Neapolitan pizza remains always good!! !